San Francisco International LGBTQ Film Festival is the longest-running, largest and most widely recognized LGBTQ film exhibition event in the world. As a community event with an annual attendance of over 63,000, the Festival is the most prominent and well- attended LGBTQ arts program in the Bay Area. 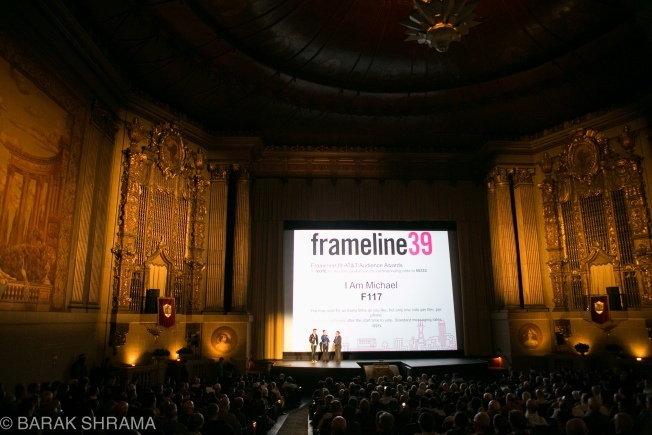 FRAMELINE40 is a competitive film festival with cash prizes attached to each of our Audience Awards for Best Feature, Best Documentary and Best Short. Frameline40 also has juried awards for Outstanding First Feature ad Outstanding Documentary Feature. Showings at all 5 venues: Castro Theater, Victoria Theater in SF, Landmark Theaters Piedmont in Oakland and the Rialto Cinemas Elmwood in Berkeley. For more information about show times and tickets, please click here.